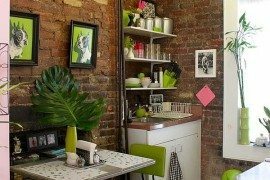 The 90s were a time when home design and decorating moved towards a more sanitized look, with bright colors of the 70s and 80s being replaced by more understated hues such as beige and white, and simple, straight lines taking over from eclectic designs. 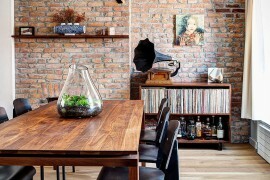 But as always, old trends find a way of making a comeback, and the last decade has seen the ‘style of the 90s’ completely fade away with contemporary homeowners bringing back color, textural contrast and a delightful array of styles that venture beyond the mundane. 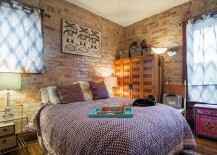 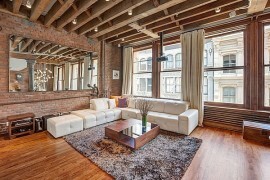 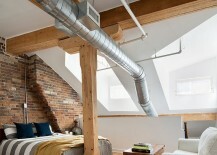 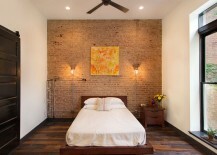 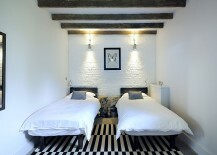 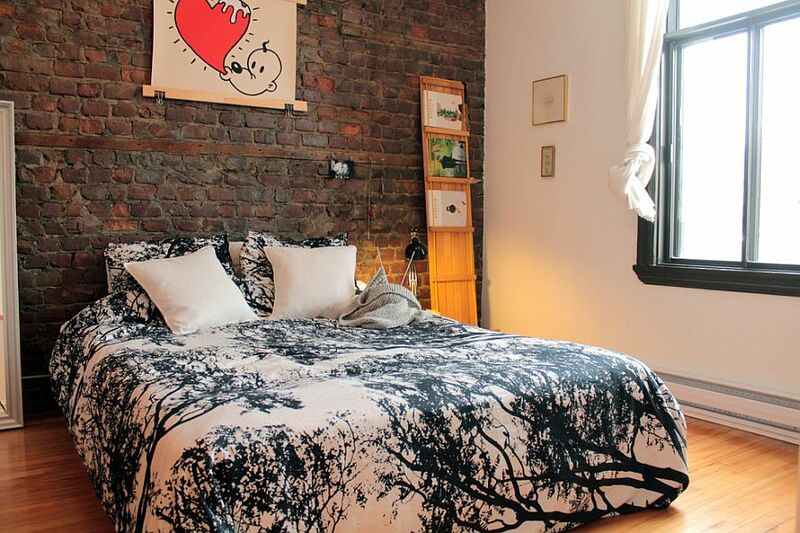 And it is this mini-revival of sorts that has once again put the spotlight on the beautiful, exposed brick wall! 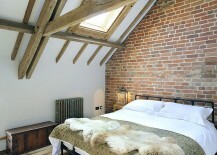 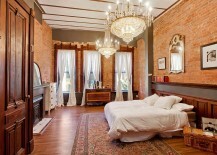 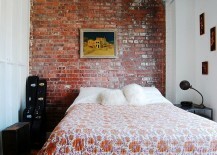 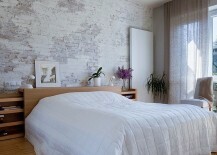 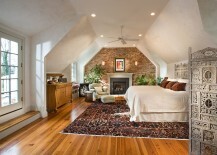 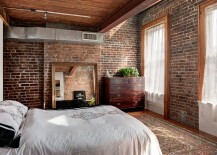 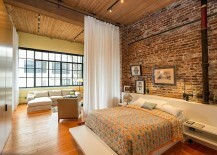 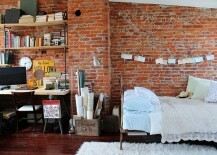 There are plenty of reasons for the new-found love for brick walls in bedrooms that go beyond just aesthetics. 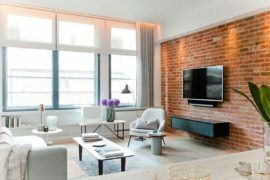 It is a trend that is driven largely by practicality and sheer necessity, as the adaptive reuse of old structures has forced the hand of some of the best architects and interior designers across the planet. 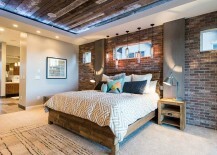 With homeowners wanting to convert that old factory, barn, warehouse or even a church into a beautiful, elegant and unique family home, the brick wall once again found itself under the design spotlight. 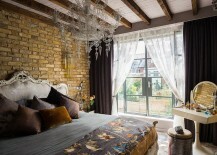 It has shown the world how an exposed brick wall in the bedroom is a treasure that can be showcased with pride and panache. 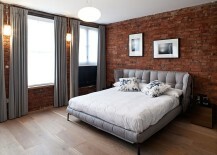 It is hard to deny that the brick wall seems most at home in the smart, industrial bedrooms that also features elements such as exposed duct pipes, large widows with metallic frames and exposed wooden beams. 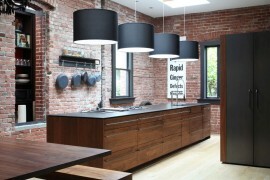 The brick wall is an essential part of this narrative, and any industrial-style interior without it is definitely incomplete. 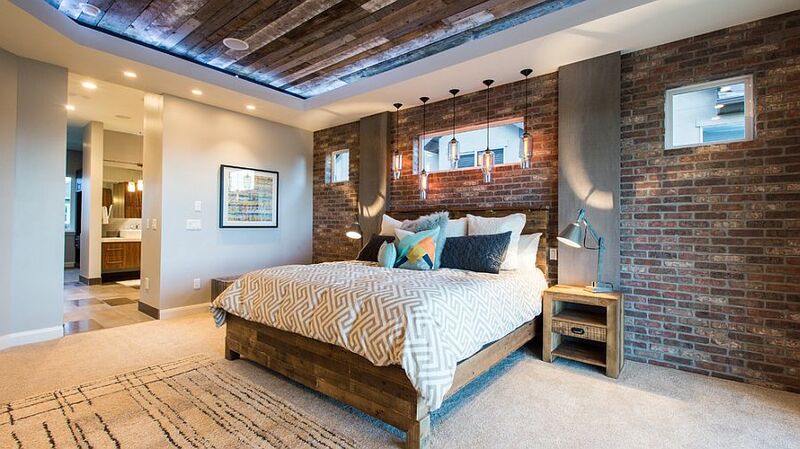 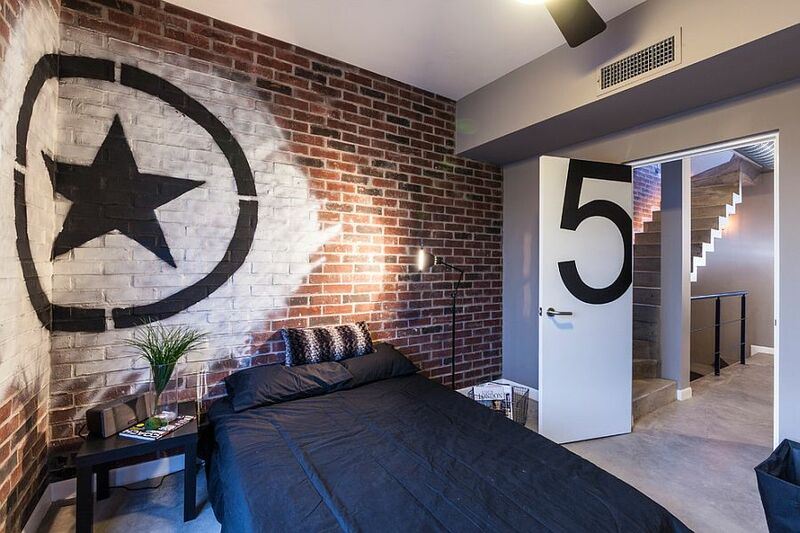 Of course, you can give these industrial bedrooms a softer and cozier ambiance by blending in contemporary touches and going down the path of industrial-chic. 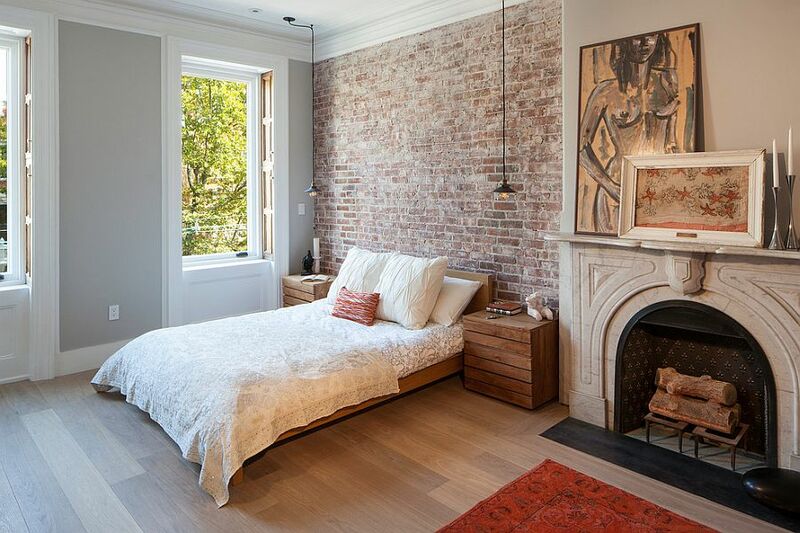 If you already have a brick wall in your bedroom, most of the work is obviously done and all you now need is a bit of cleaning and the right sealing agent that will prevent disintegration over time. 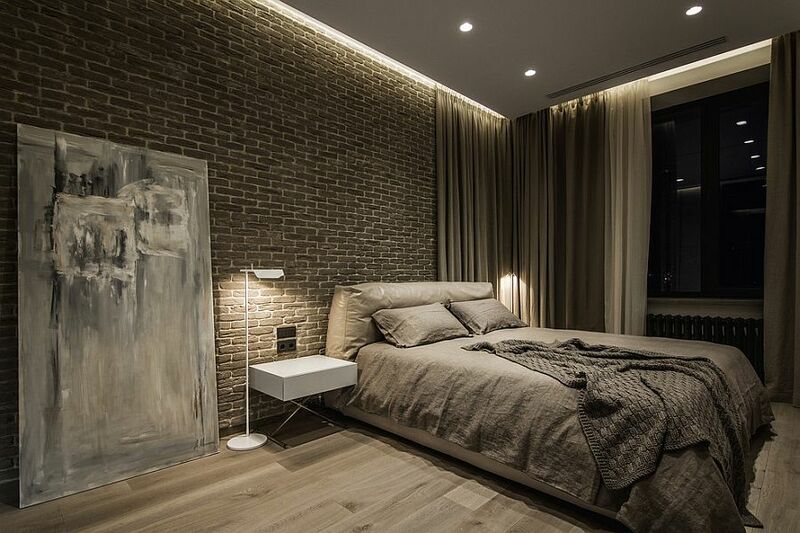 You can choose either a normal sealant or one that gives the brick wall a glossy finish and makes it more apt for the contemporary bedroom. 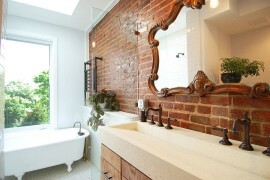 Once this is done, another choice you need to make is with the finish of the brick wall. This is where you can go beyond the normal, natural orangey-reddish hue of the brick and give it a finish that agrees with the color palette of your existing bedroom. 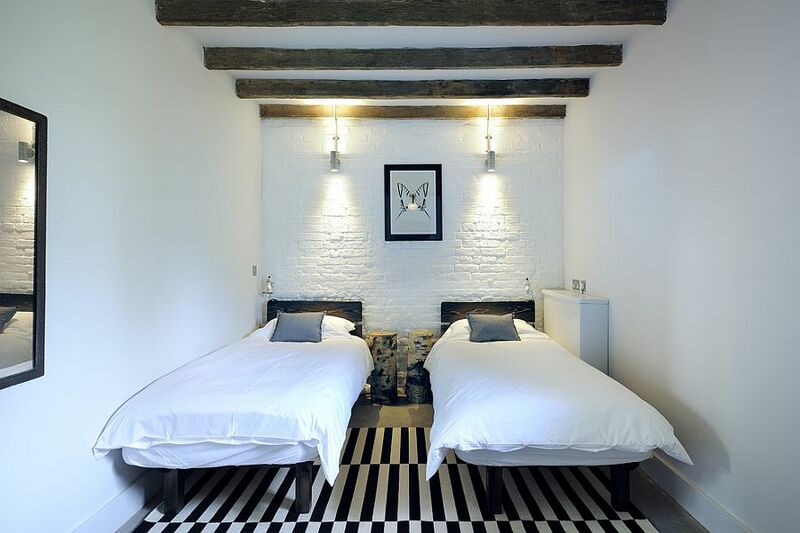 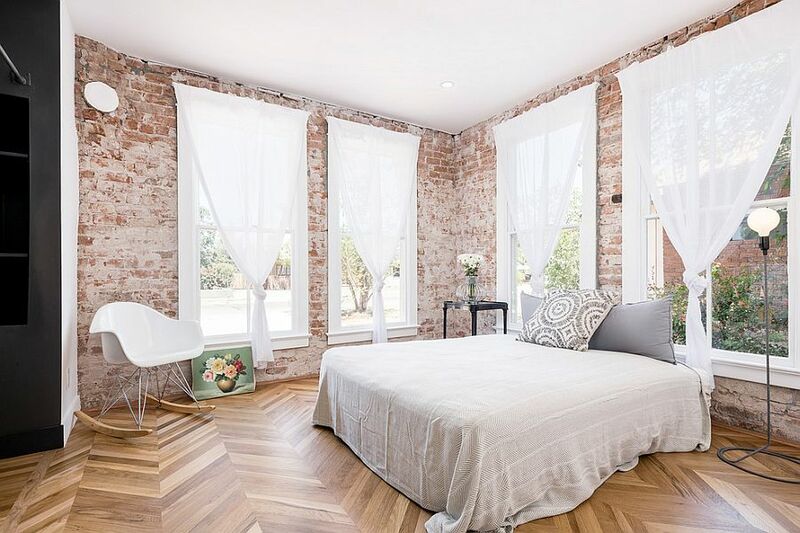 White is a popular choice in modern bedrooms for the exposed brick wall and it is a color that gives the bedroom a cheerful, spacious demeanor even while blending in with the rest of the space. 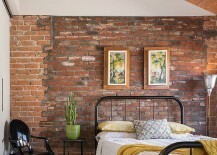 Painting the brick wall white will take a few additional coats of white paint than normal because of the porous nature of bricks. 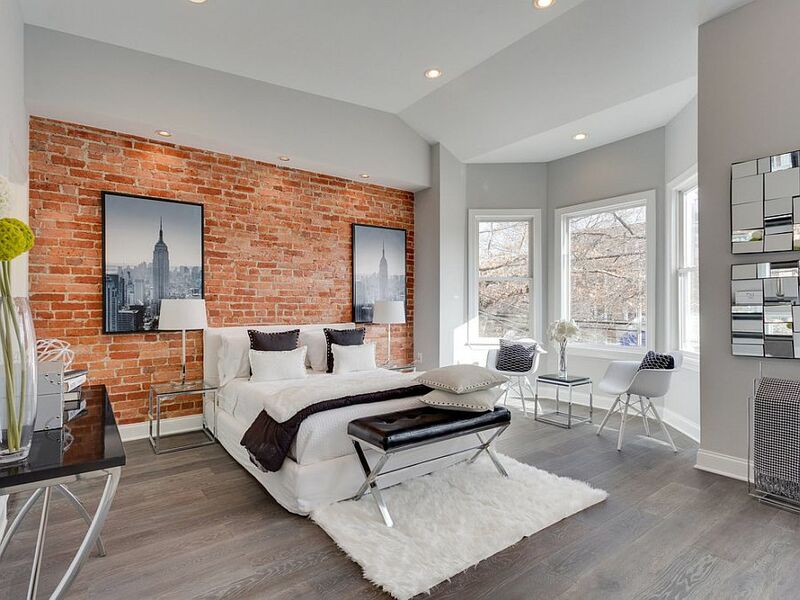 Another cool, trendy look is the whitewashed brick wall that gives the room a surface that seems authentically aged and rustic. 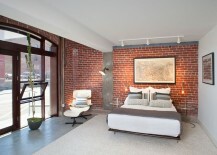 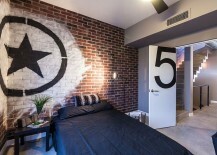 Gray is the next best option and is the front-runner in contemporary and minimal bedrooms. 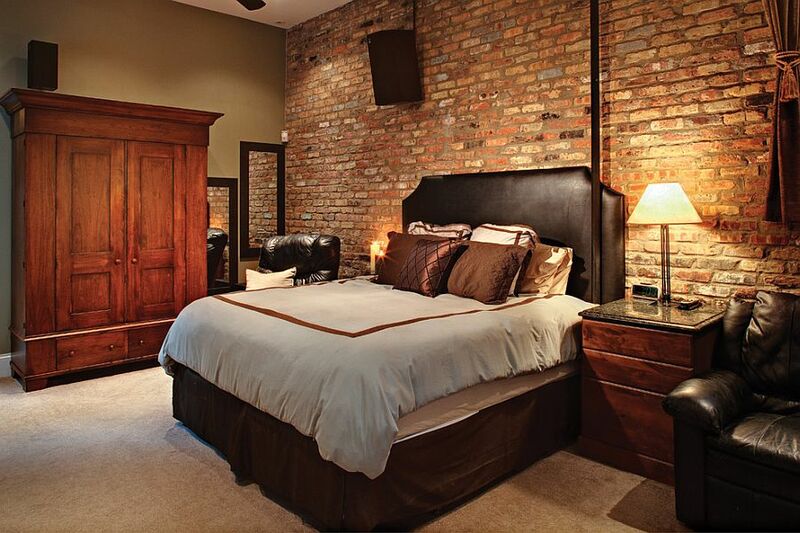 When decorating a bedroom with brick walls, do not focus on the walls themselves, but take a decorating approach like you would do with any other space. 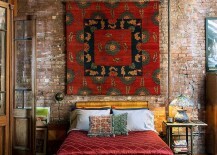 By fixating too much on the uniqueness of the walls, one might allow them to take over completely and define the style of the room. 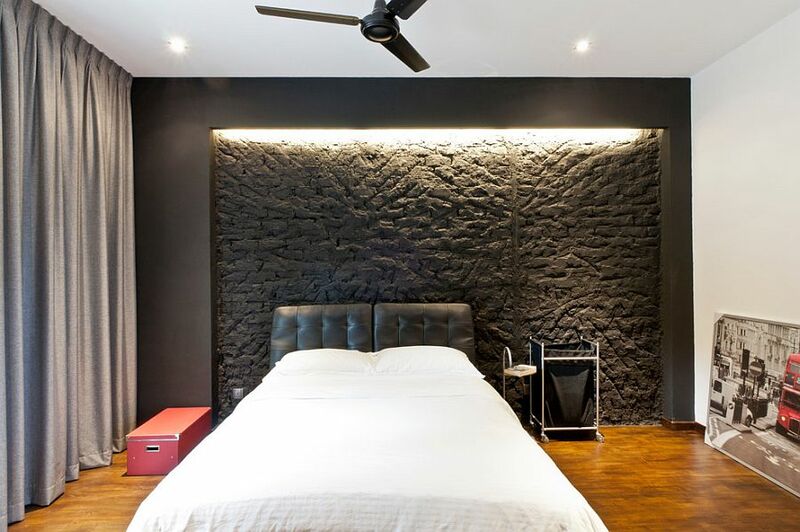 If your bedroom has a largely contemporary, modern or transitional look about it, then an accent brick wall might be all you need. 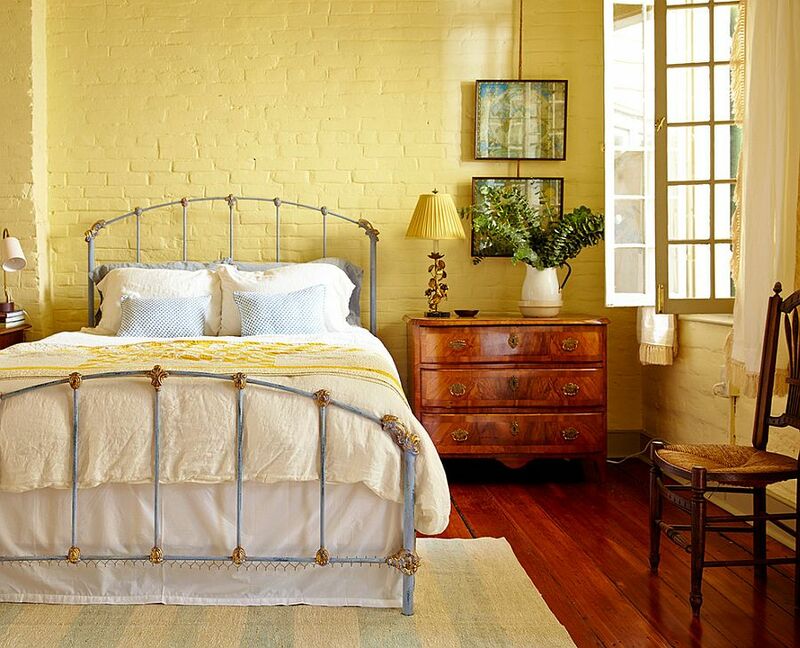 Let the rest of the room evolve naturally with décor and accessories that you love. 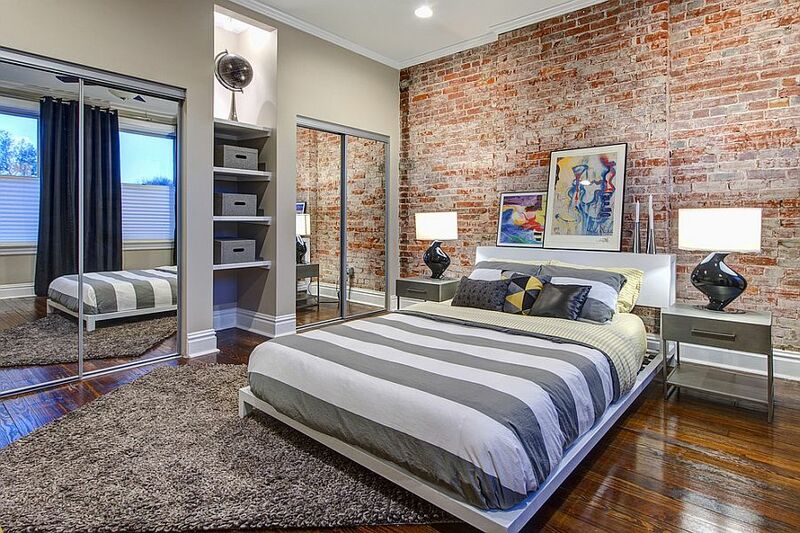 In case you are surrounded by brick walls in the bedroom, break up the monotony with wardrobes, large mirrors casually placed on the ground or even captivating artwork that diverts your attention. 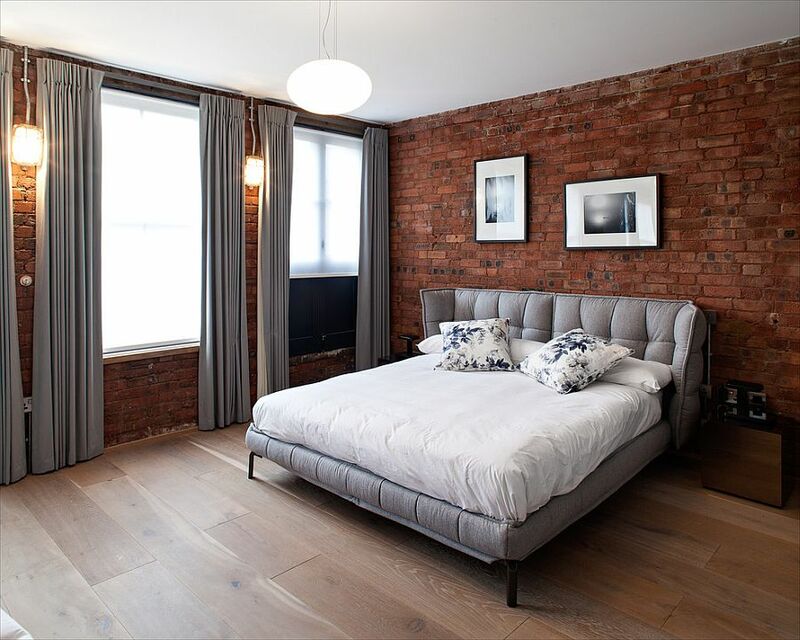 This gives the room an elegant vibe, breaks the tedious visual of the continuous brick walls and gives the bedroom a softer, more inviting ambiance. 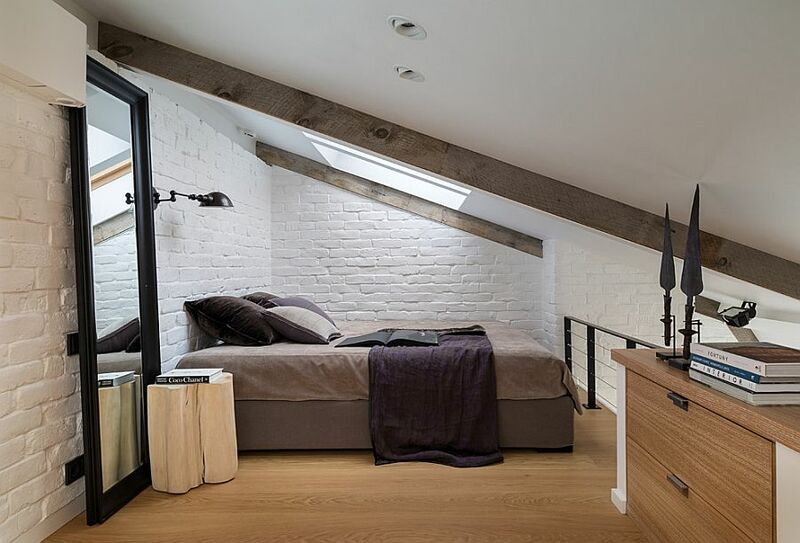 The exposed brick wall in a small bedroom is even more fun to work with, as it brings an air of warmth and coziness to the modest room. 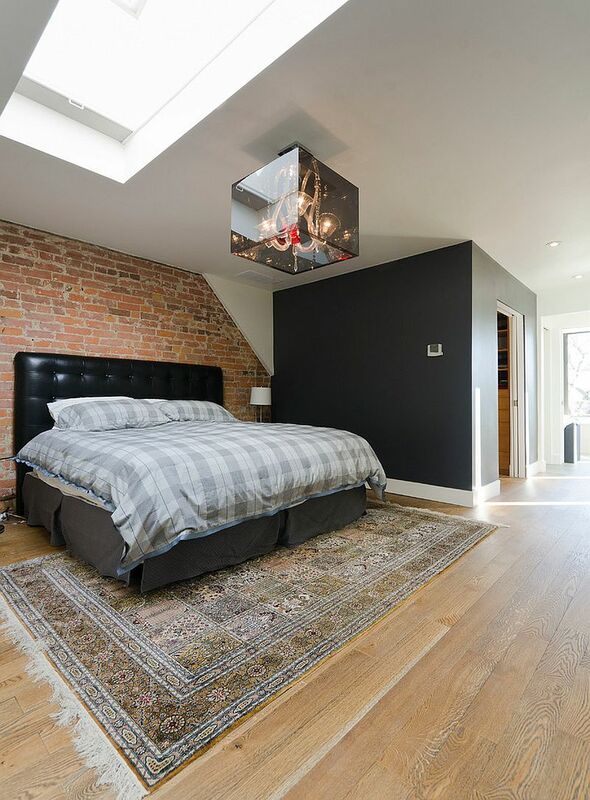 A smart strategy here is to opt for the monotonous look (something we advised against in larger rooms) just to avoid visual fragmentation. 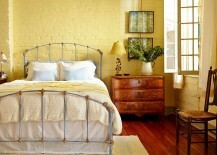 This can mean painting the accent brick wall white to let it blend with the rest of the room. 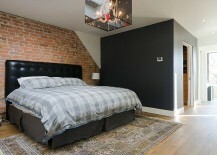 But taking the opposite approach of making the brick wall the focal point in the small bedroom also works at times, especially when you want a unique headboard wall! 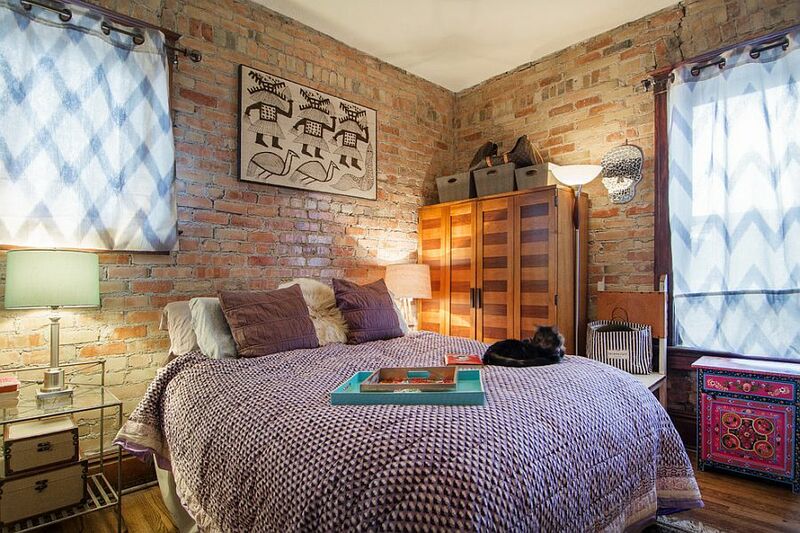 Once again, it’s horses for courses and what works in one tiny bedroom might not quite seem equally impressive in another with an entirely different theme and style. 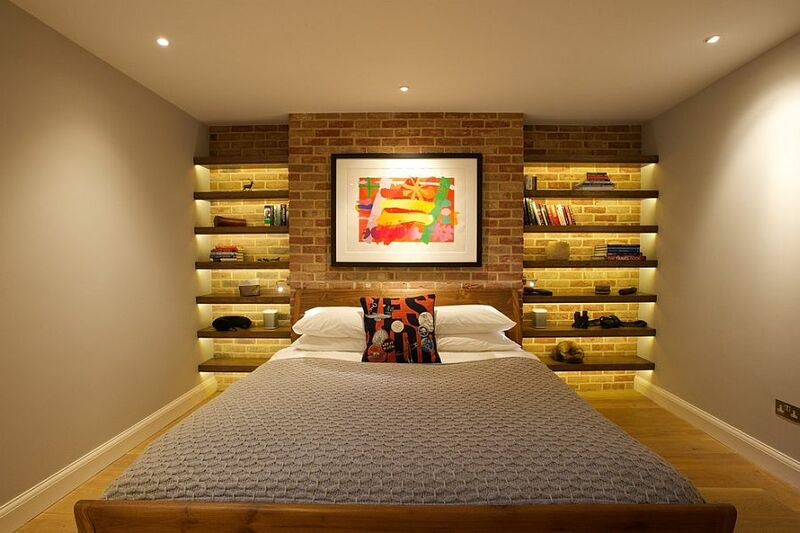 Get creative with the brick wall in your bedroom and think beyond the usual decorating styles and décor pieces to get the job done. 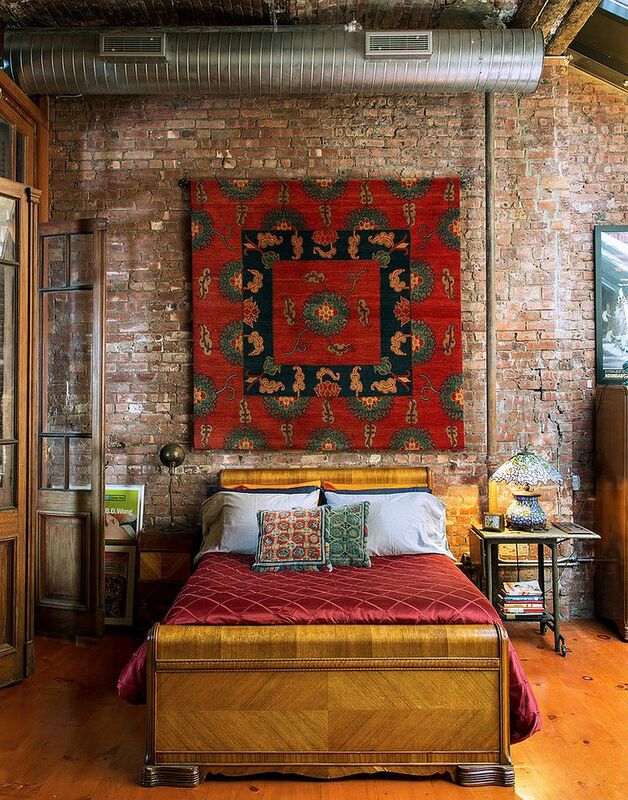 Your bedroom is a personal sanctuary that lets you experiment with styles and motifs, unlike the case of the living room or kitchen. 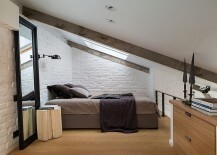 Use this to your advantage and express yourself in an unabated fashion. 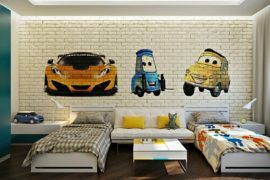 Maybe you are graffiti on the wall kind of a person and want to showcase your talent with a can of paint on that brick wall! 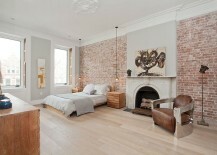 Others might go down the path of smart displays, artwork and brilliant lighting. 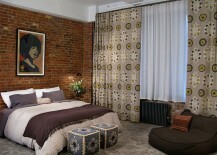 Irrespective of your choice, do not be afraid to push the envelope!